I decided to write a blog about investing in a newborn photographer, and as a PSA to all those mamas and expecting parents out there that are entertaining the idea of photographing their precious newborn in those first couple weeks of life. We’ve all seen the adorable images on the internet and social media of this brand new baby with its head lying in its hands (frog pose), or wrapped up lying on a cute little bed, and even hanging from a branch on a tree. While these images are amazing, are they really safe? Absolutely! If done properly, and I put major emphasis on the word “IF.” As our industry has become over saturated with photographers entering into the business prematurely, these poses are being attempted with completely uneducated and inexperienced photographers just now learning the craft. Resulting in these brand new little humans being injured. I can’t tell you how many horror stories I have heard of a baby falling face first in a bucket because the bucket was weighted properly and baby wasn’t posed correctly in it, or that baby was wrapped up and had clear signs of overheating and the photographer didn’t take proper steps to cool baby down (babies die from overheating y’all), or a baby actually being suspended from a real tree branch many feet off the ground!!! It’s just so scary y’all. SO. SCARY. While it may look like a baby is actually holding their head up on their hands…they aren’t! They should be balanced well enough they could, but there should always be a hand on baby! Babies are easily startled and any sudden movement a baby could drop its head from their heads (if not being properly spotted) and break its neck. The risk is real. I’m not trying to scare you away from newborn photos, but I am definitely trying to make you think twice before you hire just anyone. Even more simple poses like the ones below can be dangerous if baby is not positioned correctly. A baby’s airway could be restricted if not posed correctly here, or circulation can be restricted to its hands or legs if they are not positioned right. Such a “simple” pose still requires a great deal of knowledge and technique. It’s also about being posed on the right type of material. 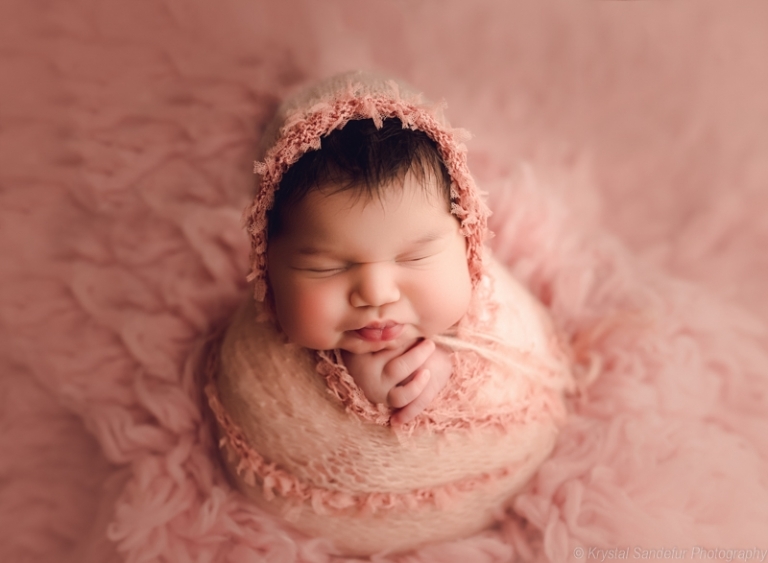 A baby lying on a blanket that isn’t pulled tightly or is lying on fur or some sort of texture that is blocking the baby’s nostrils (which wouldn’t happen if baby was posed right) can be just as dangerous. Here in these wrapped poses, airways and overheating should be closely monitored. Being wrapped too tightly can cause baby to struggle with their breathing, or not positioning their arms correctly can restrict blood flow to their hands, not having the head properly supported with your wrapping technique can be very dangerous and the obvious over heating possibility if baby gets too warm. 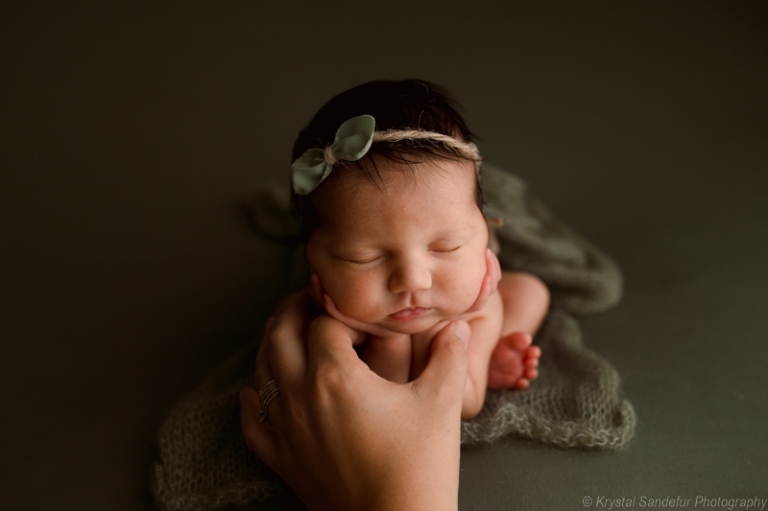 All things that an experienced newborn photographer knows. So what to do and how do you know if your prospective photographer is worthy of photography your precious new life? Don’t shop around solely on price. Not every photographer is within everyone’s budget and that is completely ok. I’ll say that again, not everyone can afford quality portraits because they are an investment. 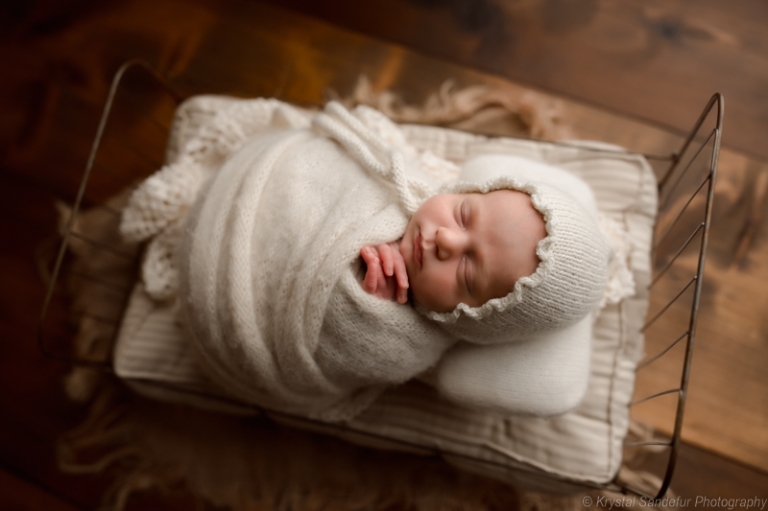 However, if your budget for “posed” newborn photography is not enough to hire a true professional, one who is educated in safety and posing, experienced, insured and uses the proper shooting equipment and props then PLEASE reconsider having posed newborns done. Lifestyle sessions are also beautiful and baby is more handled by you therefore at less risk of injury from being handled from an amateur. Ask questions! 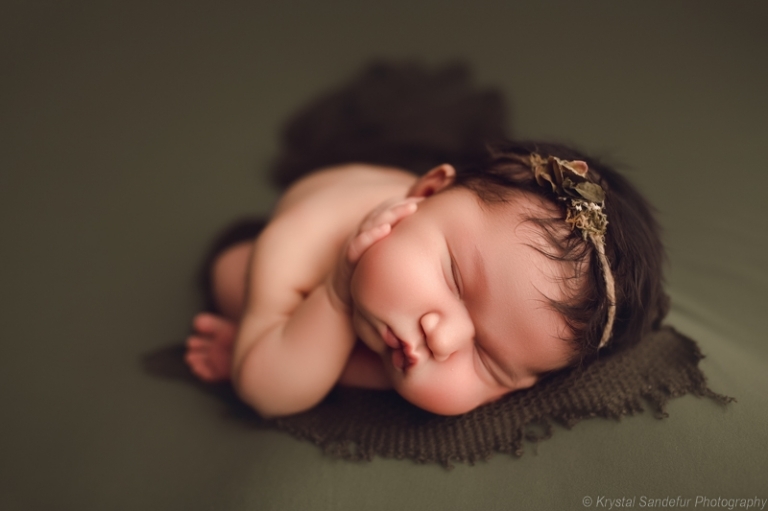 Ask your prospective newborn photographer where they have been educated. What kind of equipment they shoot with? If they supply everything? (which they should) Do they help prep you for the session? Do they do composites? No question is wrong!! JUST ASK! Check their ratings and reviews! Ask others that have used the said photographer. Reviews are a great window into the experience of others. A red flag – If a photographer guarantees a pose or image they are straight up lying to you. I never ever guarantee an image. Though I am generally successful with even the fussiest little guys, a newborn should NEVER be forced into any pose. Babies will let you know, trust me. If they are unable to be soothed with certain techniques; then baby is either, cold, hot, hungry, gassy or uncomfortable in the position. A professional will listen to the ques of your baby and be honest with you that it isn’t going to happen. Go with your gut! If a photographer is offering all high resolution images for an extremely low price, ask the above questions. So I leave with this. You have just birthed this amazing human being. One that relies solely on you to keep them safe. Please research newborn photographers. Find one that you love not only their style but their knowledge and ability to handle your little one. These are images that can never be recreated. Ever. The window is within just a couple weeks and then its gone forever. If these are images you truly want, then plan for them and don’t let budget dictate your choice. Most photographers have payment plans or packages to fit many different budgets. These images will last a lifetime, but that gratifying trip to the mall or salon will only last a few months.